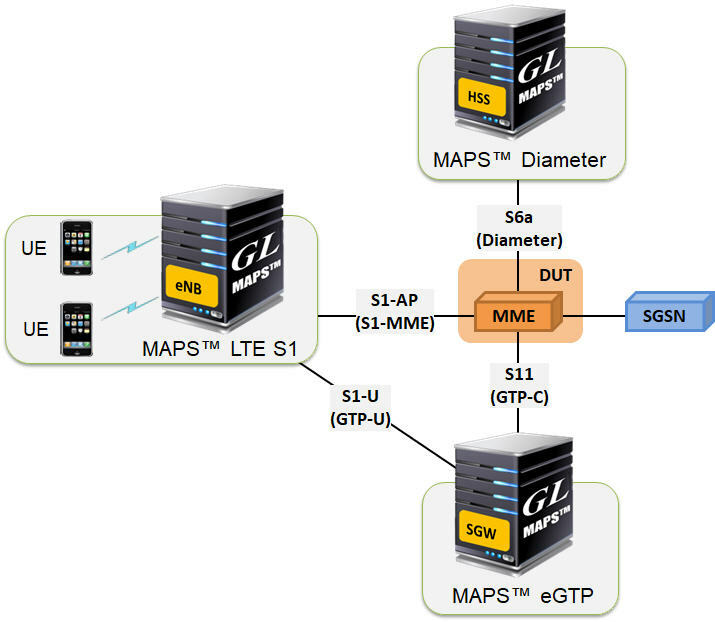 All elements within LTE-IMS wireless infrastructure can be tested with GL’s general-purpose protocol simulation tool - MAPS™, which supports simulation of various interfaces of LTE (S1-u, S1-MME, X2, S3, S4, S5/S8, S6a, S10, S11, S13, S16) and IMS (Cx/Dx, Rx, Gx, Gm, SGi, Mw, Mi, Mj) interfaces using MAPS™ LTE S1, LTE eGTP, Diameter, and IMS simulators. With these, one can simulate VoLTE calls in lab, and study the network behaviour. 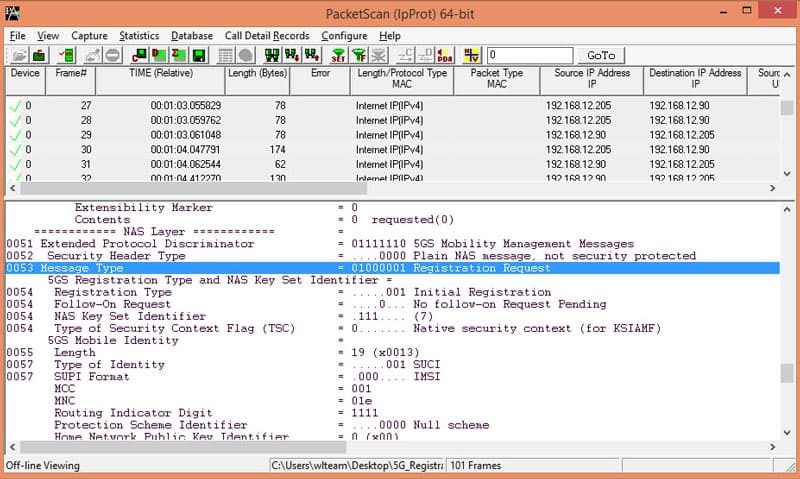 GL's PacketScan™ - an All-IP Network Monitoring software offers powerful features to capture and monitor live signaling and traffic over IP. PacketScan™ with Voice, Data, and Video QoS capability addresses customers long felt need of call quality analysis in IP networks. Decode and analyze full LTE protocol stack. 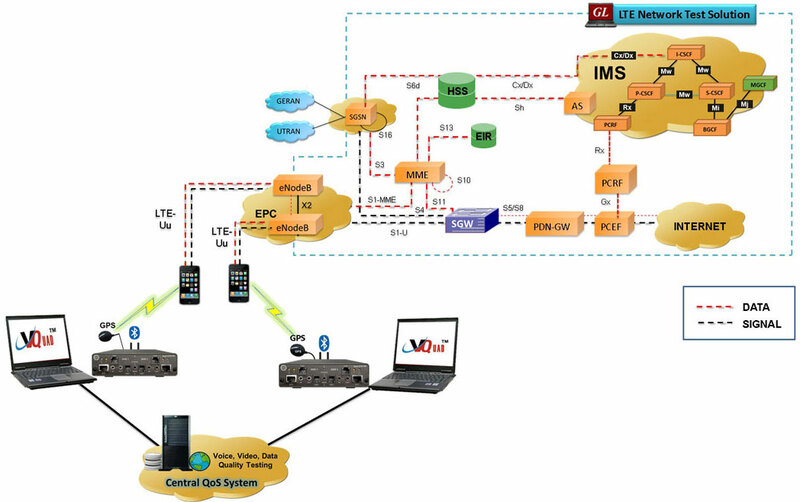 Test eNodeB or UE over S1, S3, S4, S5 (or S8), S6a, S10, S11, S13 and X2 interfaces of the LTE network. The protocols supported for decoding across all these interfaces are NAS, S1AP, X2AP, eGTP, GTP-U, Diameter, SCTP, UDP, TCP, and IP. Monitor thousands of Diameter sessions over S6a, S6d, Cx, Dx, Zn, Zh, Wx, Gq, Gy, Sh, Dh, Gx, Rf, Ro, Wg, Wm, Pr, Wa, Wd, Rx interfaces. GL’s VQuad™ NetTestsolution provides automated data testing on Mobile Devices (Android and Apple) as well as PC based internet connections. The Data Testing includes TCP, UDP, HTTP, FTP, DNS, VoIP, SMS, and Email tests. GL’s Video Application Part (VAC) supports Video Conference testing between any two VAC Agents. GL’s VAC Agents can be installed on any Android device, Win PCs or Linux box. GL’s Voice Quality Testing (VQT) supports automated voice quality between any two nodes within the network using latest ITU based algorithms including Perceptual Objective Listening Quality - POLQA (ITU-P.863) and PESQ (ITU-P.862). 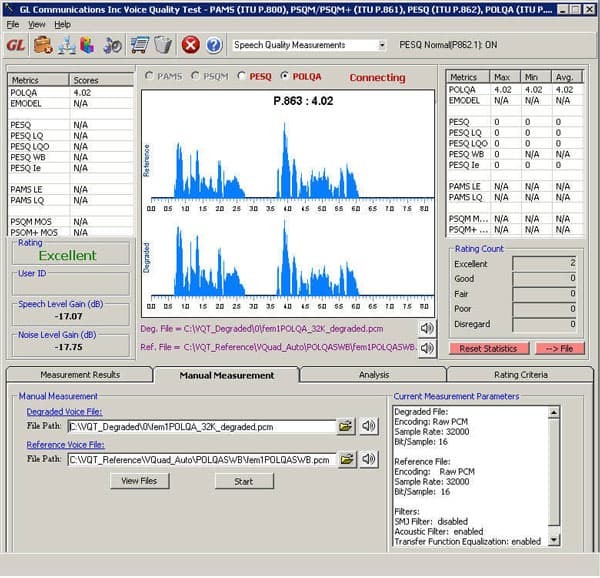 The POLQA algorithm is specifically used for testing Wideband voice over VoLTE networks.